The 2016 Utah Championship golf tournament on the Web.com development tour for the PGA Tour is taking place this week from July 21-24, 2016, at the Thanksgiving Point Golf Course located in Lehi, Utah. Here is a list of the prize money up for grabs for the Web.com players at the 2016 Utah Championship. The Utah Championship on the Web.com Tour dates back to 1990. 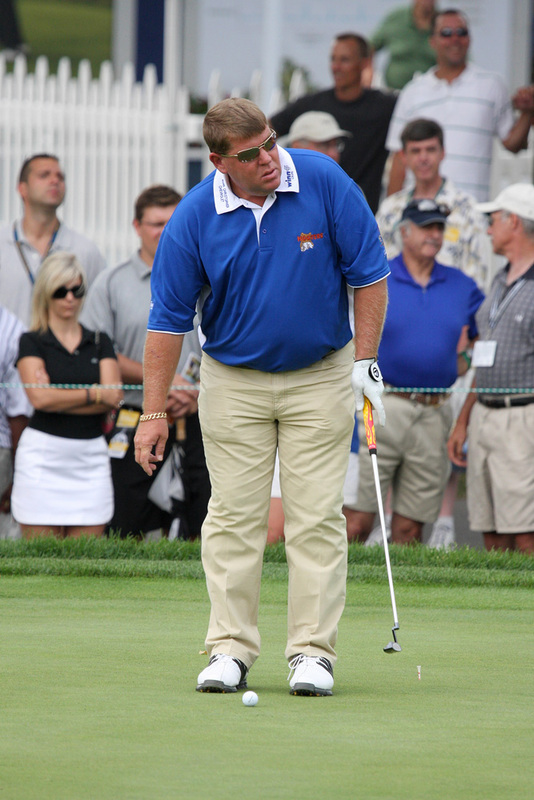 John Daly was the inaugural winner in 1990. Zach Johnson won this tournament in 2003 and both John Daly and Zach Johnson have gone on to win two majors each. Total prize money up for grabs at the 2016 Utah Championship is $650,000. The same amount of prize money as last year. Any player who wins three times on the Web.com Tour automatically gets their PGA Tour card. The winner of the 2016 Utah Championship will earn $117,000. That is the same amount of prize money that Patton Kizzire earned when he won this tournament last year. Second place is worth $70,200 at the 2016 Utah Championship. That's the same amount of prize money that Sung Kang earned or won here last year when he finished alone in second place in this tournament. Third place at the 2016 Utah Championship golf tournament on the Web.com Tour is worth $44,200. Alex Aragon, Zack Fischer, Scott Harrington, Garth Milroy and Tag Ridings split $141,575 with each player earning $29,315 when they all tied for 3rd place here last year. Fourth place is worth $31,200 at the 2016 Utah Championship golf tournament on the Web.com PGA development tour.